History tells us who we are and how we came to be who we are. Like history, genealogy studies people. It’s a field of study that can tell us who we are in a more exact sense by showing us how our ancestral lines connect from one generation to the next. 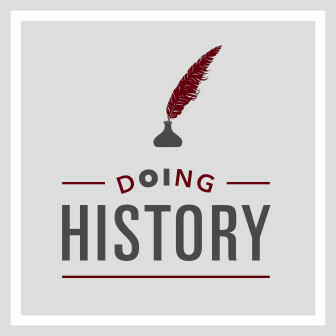 In this episode of the “Doing History: How Historians Work” seres, we investigate the world of genealogical research with Joshua Taylor, President of the New York Genealogical and Biographical Society and a professional genealogist. “Doing History” episodes will introduce you to historians who will tell you what they know about the past and reveal how they came to their knowledge. 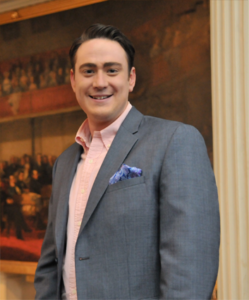 In this episode of the “Doing History: How Historians Work” series, we investigate the world of genealogical research with Joshua Taylor, President of the New York Genealogical and Biographical Society and a professional genealogist. During our investigation, Josh reveals information about professional genealogists and their research process; Where genealogists look for information and the digital resources they use; And, the role DNA plays in genealogical research. In your opinion, what will the future of genealogical research look like? What types of records are we creating today will prove useful to future researchers? What types of tools or access to records do you think we can look forward to as we continue to advance in our digital age?